I know this post is rather late but today I had an exam! Fingers crossed. I was taking one of my Gen Eds so that I wouldn't have to take too many classes in September. Yup I'm going back to school in September to take Business because I want to open my own salon kind of thing in the future :D. How has your day been? Also I'm pretty sure that I don't have anymore posts of when my nails were long to share with you! Lol. 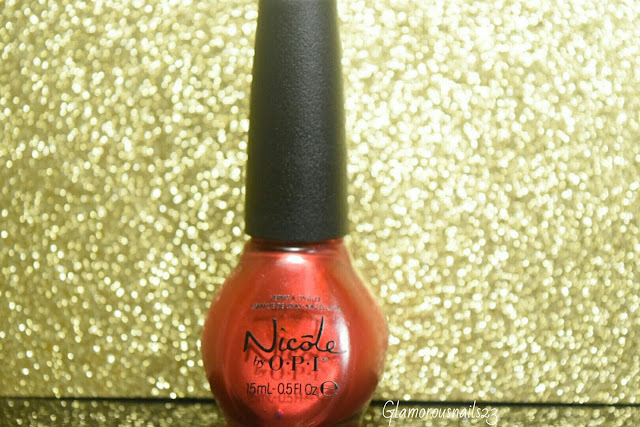 Today I have this beautiful red polish by Nicole By O.P.I. called Keep It Real. Let's get started! 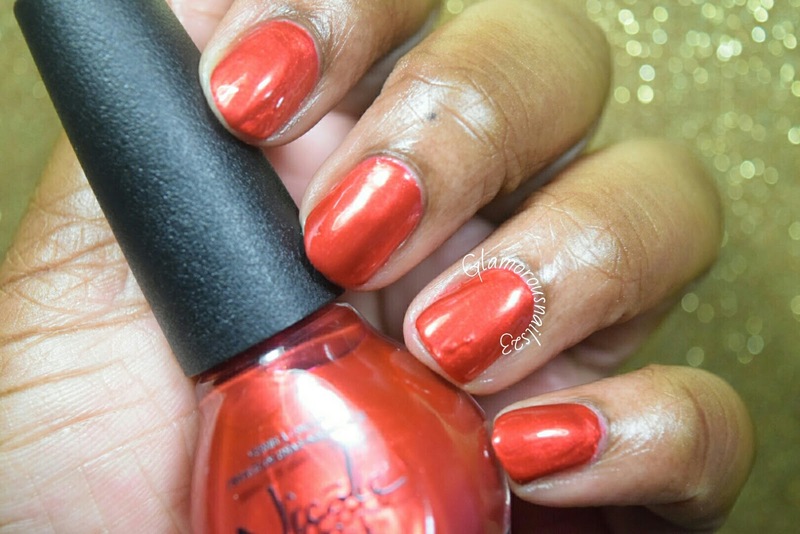 Keep It Real is a smooth metallic Christmas red polish. 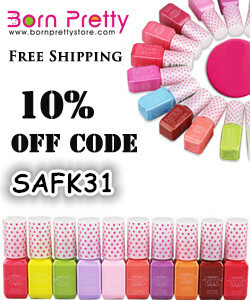 I actually used this polish as a base for some stamping nail art which you can find here. The formula was smooth and it had really nice coverage. Even though this is a metallic it wasn't as brush strokey as I was expecting it to be. Keep It Real was almost a one coater! Of course depending on how you polish you could get it to be one coat! This beautiful polish self levelled nicely. This red would be perfect for Christmas and or Valentines Day. Shown is two thin coats with a top coat. What did you think of this polish? Do you own it? Do you like red nail polishes? Is there a Nicole By O.P.I. 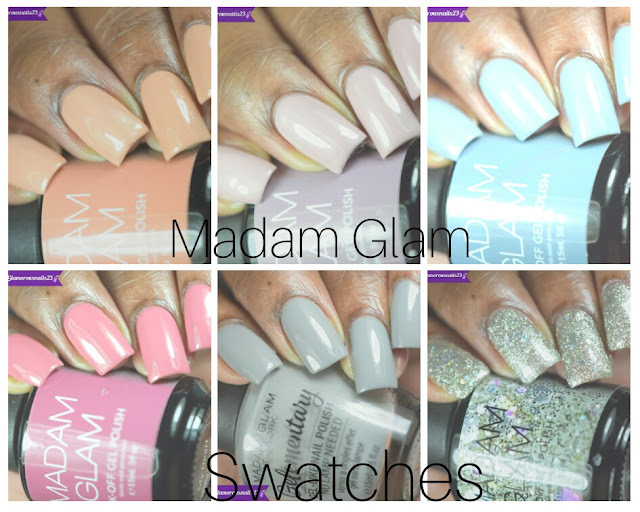 polish that is a must that I should have in my collection? Let's chat down below! I do like red polishes, but prefer those that aren't orange toned like this one. I don't own any Nicole by OPI polishes at all. I don't purchase OPI normally because it is very expensive here. 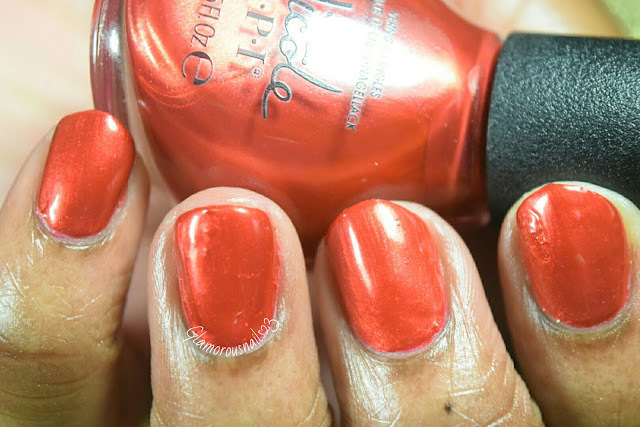 Ooo I can bet that a red polish that isn't orange toned like this one would look lovely on you! Beautiful color! I don't have very many NOPI's, the formula is kind of hit or miss for me. Thank you! Honestly it's a hit and miss for me as well, but because I usually find them at the Dollarama for $3.00 I always end up grabbing some lol. I don't own many nopi but this one is gorgeous on you! And I agree it would make for a lovely Christmas mani! Stunning red, especially on you!! I don't think I have any NOPI's, but this is a gorgeous shade on you. If you can still find Khloe Had a Little Lam-Lam, you need that one! It's my favorite NOPI color and it doesn't stain!! Omg! Okay I'm going to keep an eye out for it! Pretty Shade. I don't own any NOPI shades as I don't really buy mainstream polish. NOPI gets a lot of a crap for their bottle shape, but I love them! I actually don't mind the bottle shape!